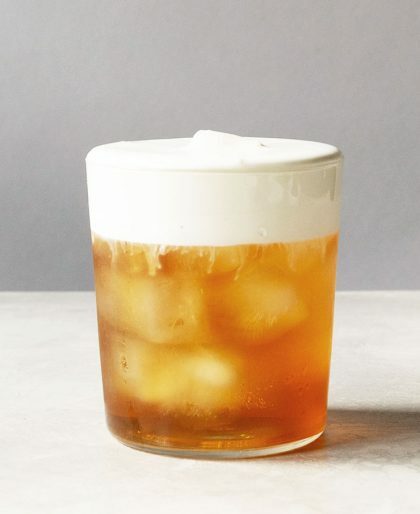 This hojicha hot drink is basically a hojicha latte but way, way, way more decadent. How? I made it with a rich, frothy whipped cream that sits on top for a second before making its way down the cup. It’s sweet, delicious, and you’ll savor every single sip. 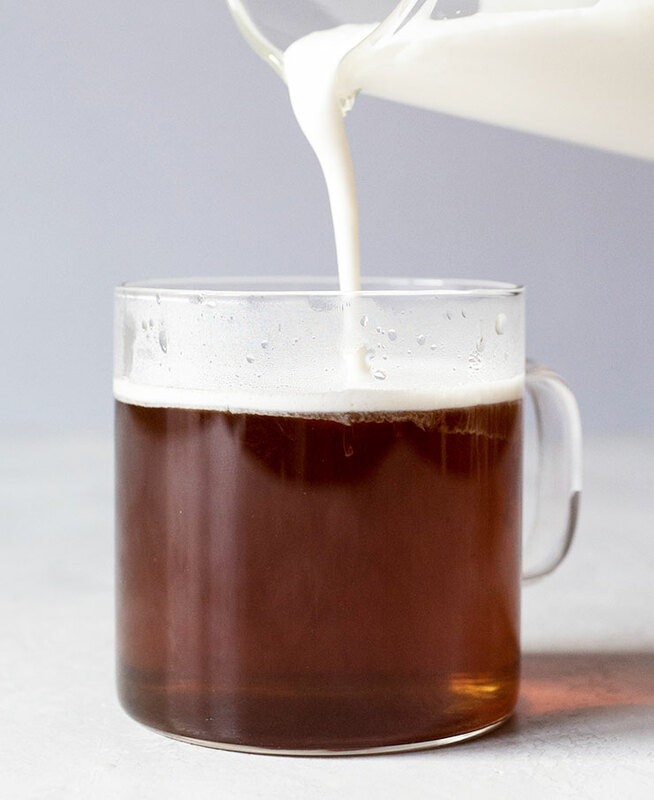 It’s THE perfect drink for those chilly winter nights where you’re tucked in under a blanket and taking sips using both your hands to hold the mug. 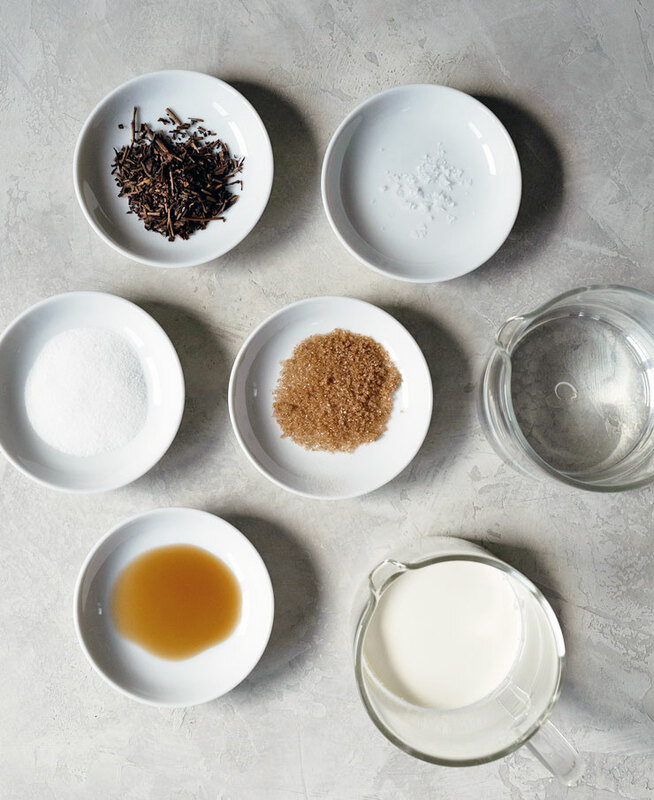 Make this once and you’ll make it over and over again all winter long. To celebrate National Hot Tea Month, and National Hot Tea Day (January 12), the Tea Council of the USA is running a fun sweepstakes. The winner will get $500 AND a year’s supply of tea. YUP. A YEAR’S WORTH OF TEA. Oh, and $500 isn’t too bad either. 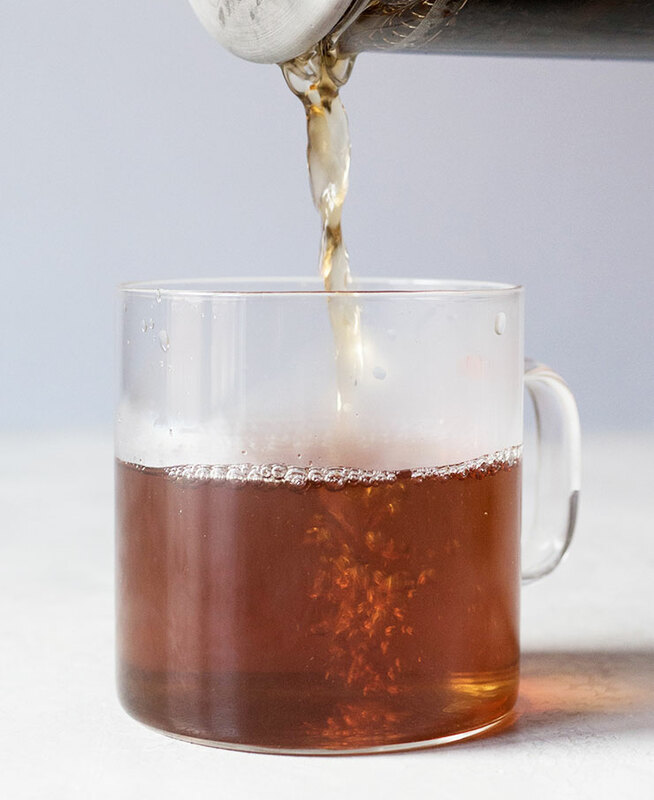 To enter, all you have to do is share a photo or video of your favorite tea (black, green, oolong, or white) with a little caption explaining how you like to have your tea on Instagram or Twitter using the hashtag #IndividualiTEA and tag @TeaCouncil. I’ll wait while you go enter the sweepstakes. UPDATE: The sweepstakes has ended. 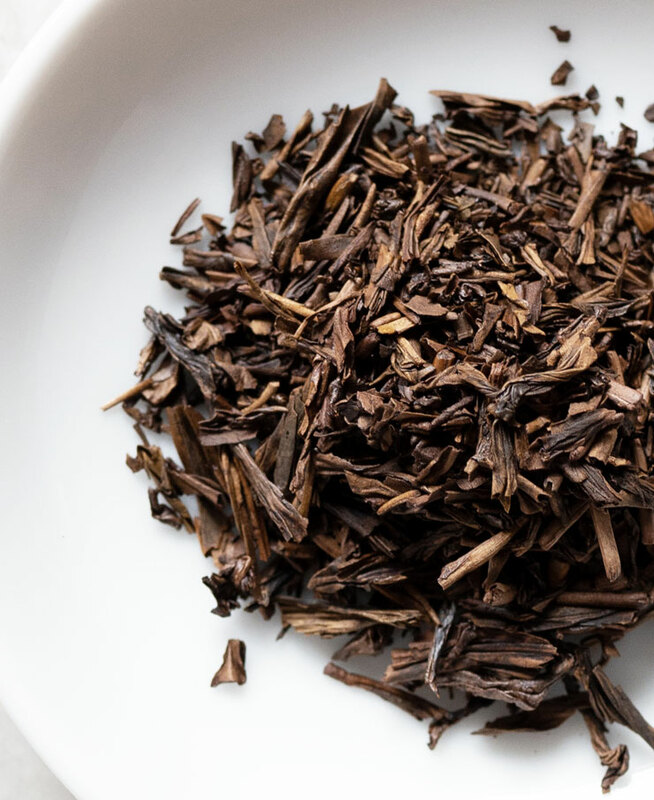 Have you ever had hojicha? It’s one of my favorites and one I’ll always order if it’s on the menu. By roasting the tea, it results in a toasty, nutty flavor that I’m completely addicted to. My favorite teas are hojicha and Frozen Summit (an oolong tea also known as Dong Ding) and both are roasted. I love them both hot and cold. 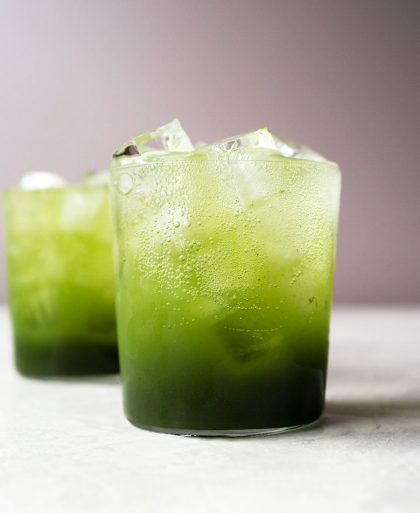 This drink is a two part process. The first part is steeping the Hojicha and brown sugar. The next is making the vanilla cream froth, which literally takes less than a minute. Let’s start with the Hojicha and brown sugar. 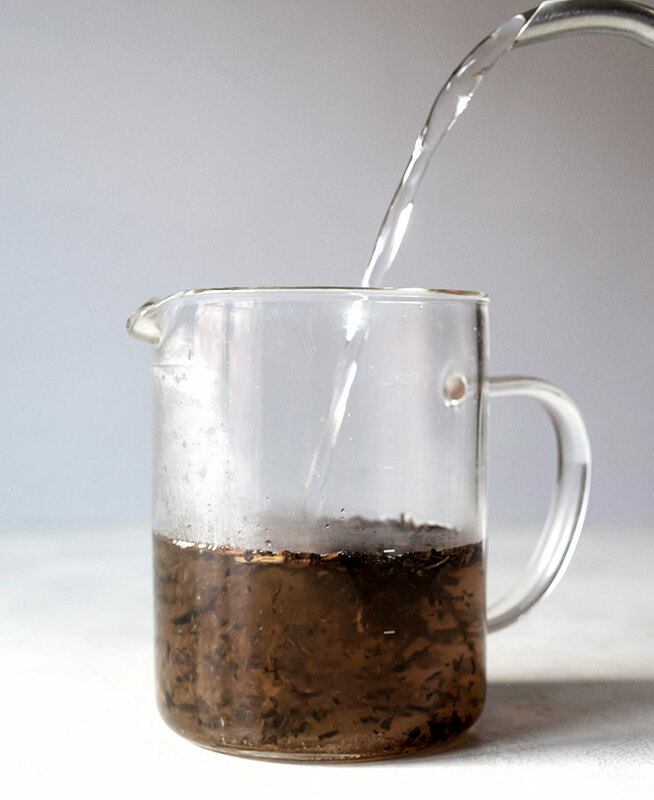 I always use loose hojicha, so I used a glass teapot with a strainer. Add the hojicha and the brown sugar and let it steep for about 5 minutes. I use hot, boiling water. When using an electric kettle, I set the temperature to 210˚F. 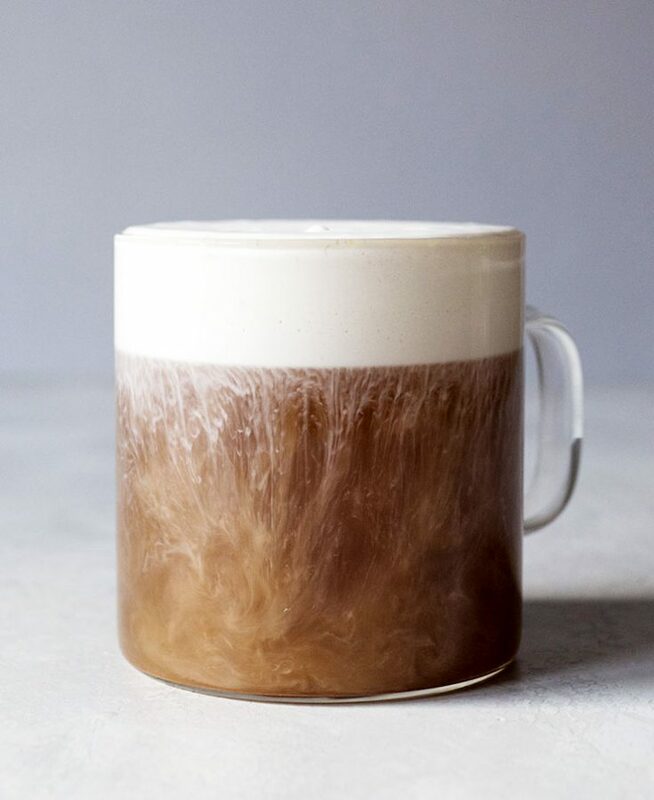 While the hojicha is steeping, make the cream froth. Cream froth is a lightly whipped cream. 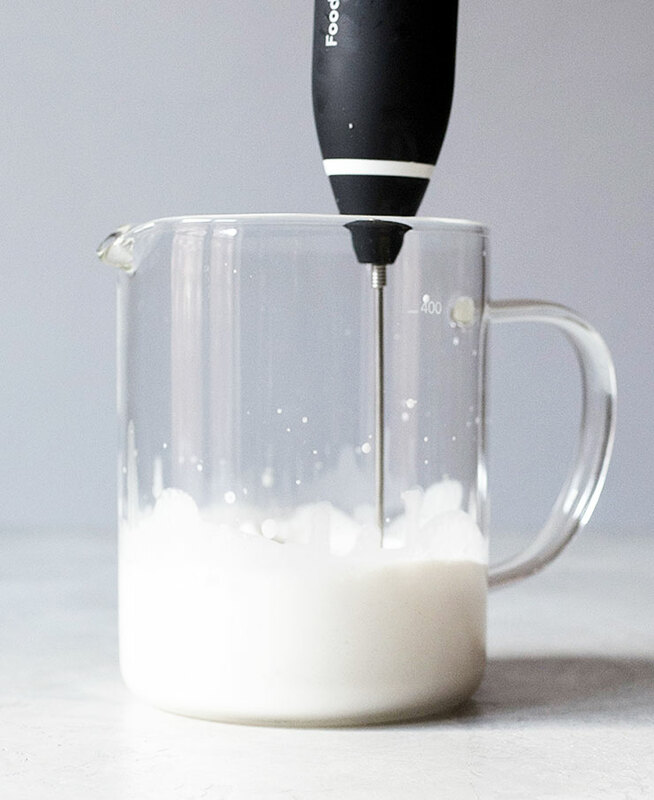 To make vanilla cream froth, I’ve added sugar, a pinch of salt, heavy cream, vanilla extract and whip it all together using a handheld milk frother. The tricky part is not to overwhip. We don’t want whipped cream with the stiff peaks. The consistency to aim for is a thickened cream. Whip using the handheld milk frother for 5 seconds at a time. Once you see it thickened, stop whisking. It’s done. 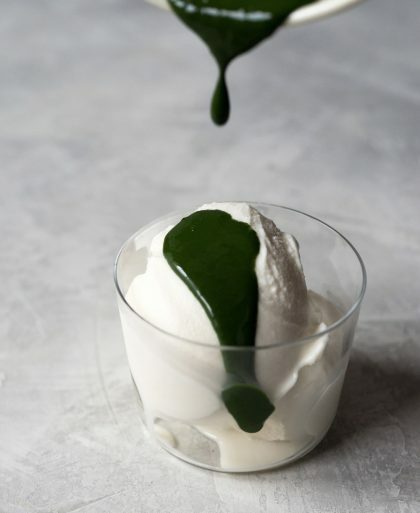 When you try to pour the cream, it should be able to, but just slowly. If you overwhipped, just add a little more heavy cream (one teaspoon at a time) and stir it in using a spoon. Ok, now it’s time to put the tea and the cream froth together. 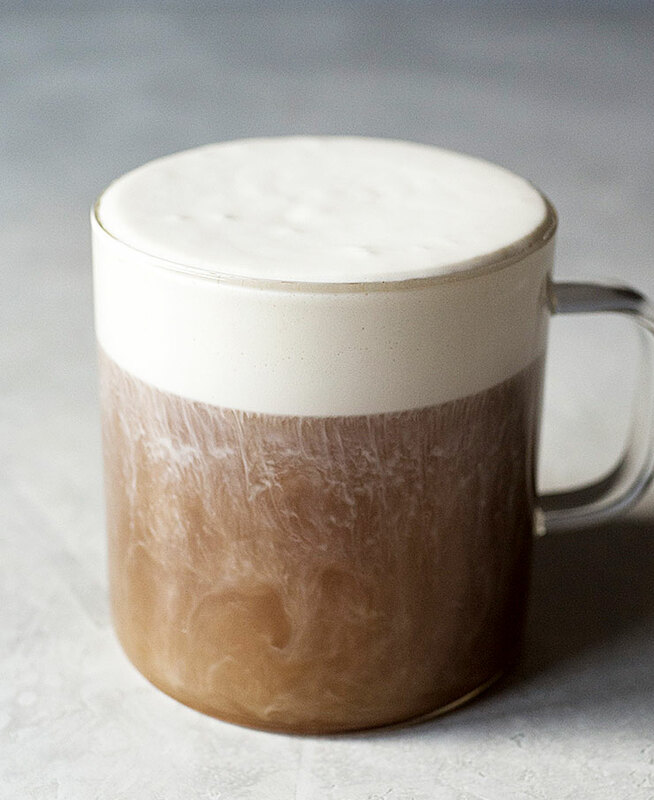 Fill your mug with the sweetened hojicha tea, leaving room for the cream froth. 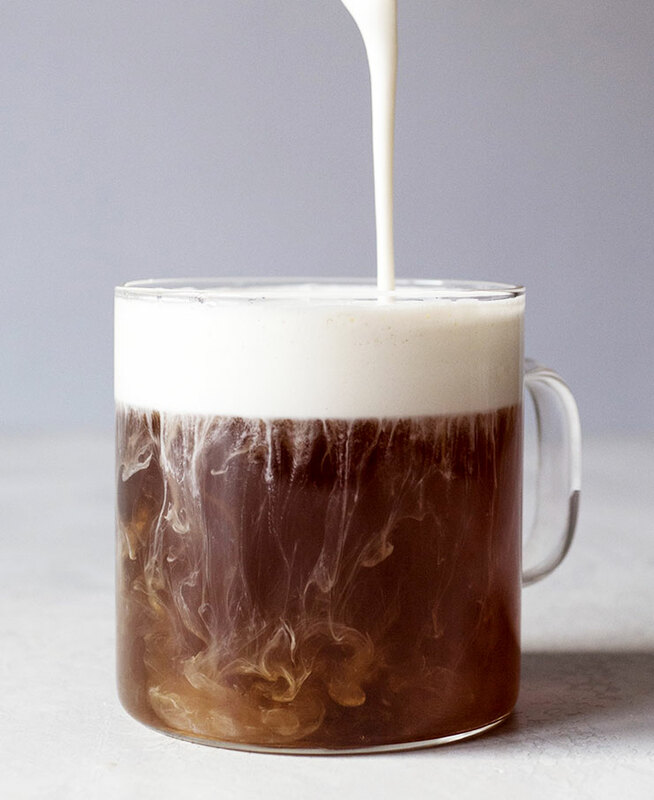 Pour that luscious cream froth on top. The cream froth is light since we whipped air into it, so it’ll suspend itself on top of the tea. But because we didn’t make whipped cream, it’ll sit on top for a couple of seconds and then will make its way down. I don’t like to stir the cream froth into the tea but just drink it as is, tasting the cream first, then the tea. 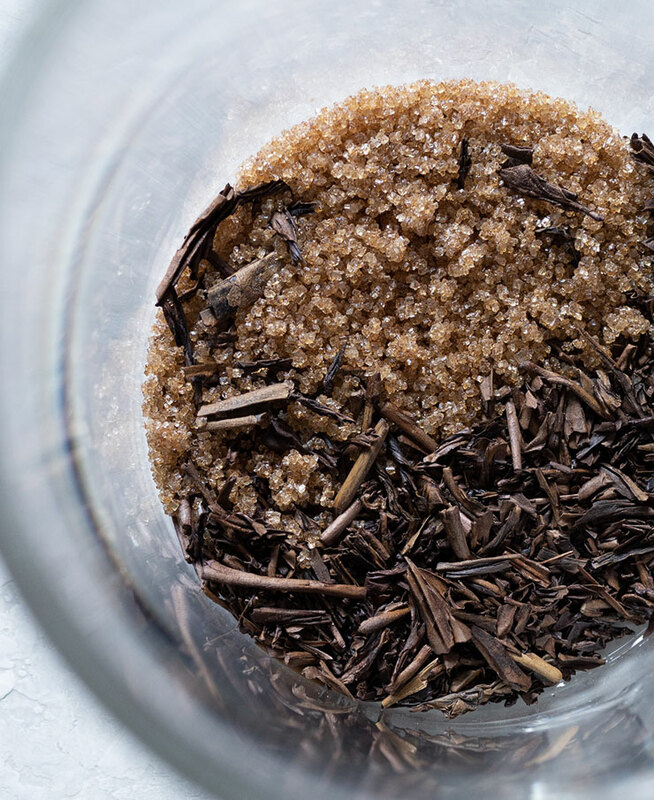 Luscious creamy topping adds a decadent touch to hojicha tea. Steep hojicha and brown sugar for five minutes in hot water. Meanwhile, make vanilla cream froth. 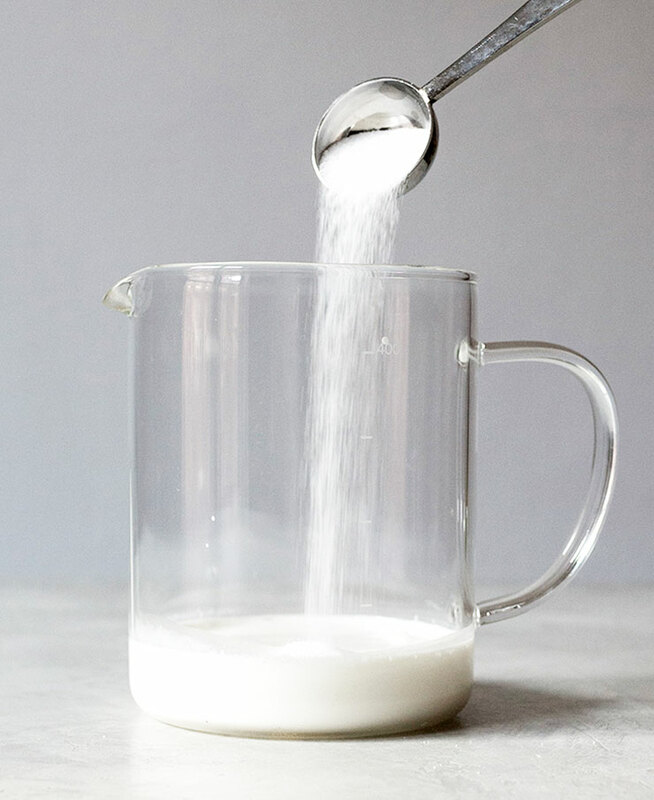 Combine heavy cream, white sugar, vanilla extract, and salt in a tall container. Lightly whipping together for 10-15 seconds until cream is slightly thickened. 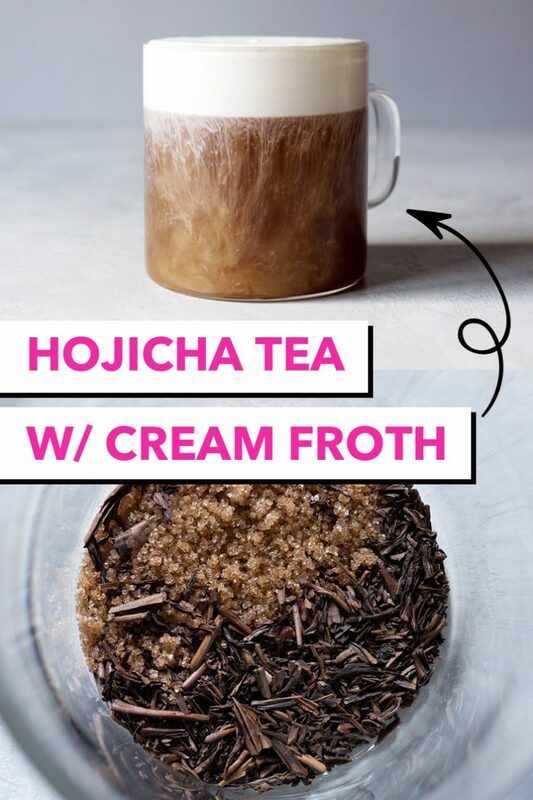 In a mug, pour sweetened hojicha, then the cream froth. In collaboration with the Tea Council of the USA. All words, photos, and opinions are mine, as always. This looks so good! I REALLY love hojicha as a choice for lattes. It stands up well to dairy but doesn’t pack too much of a punch.